. 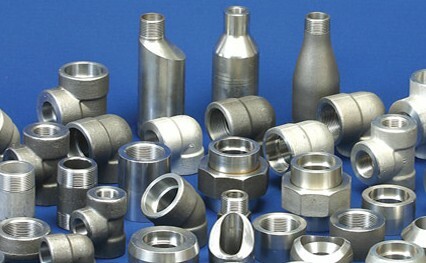 STAINLESS : ASTM A182 F304, 304L, 304H, 316, 316L, 317, 317L, 321, 310, 347, 904L.
. CARBON STEEL : ASTM A105/A694, F42, 46, 52, 56, 60, 65, 70, A350 LF3, A350 LF2.
. ALLOY STEEL : ASTM A182 F1, F5, F9, F11, F22, F91, Etc. * AVAILABLE SIZE : 1/8” NB TO 4” NB. Also as per the National & International Standard.